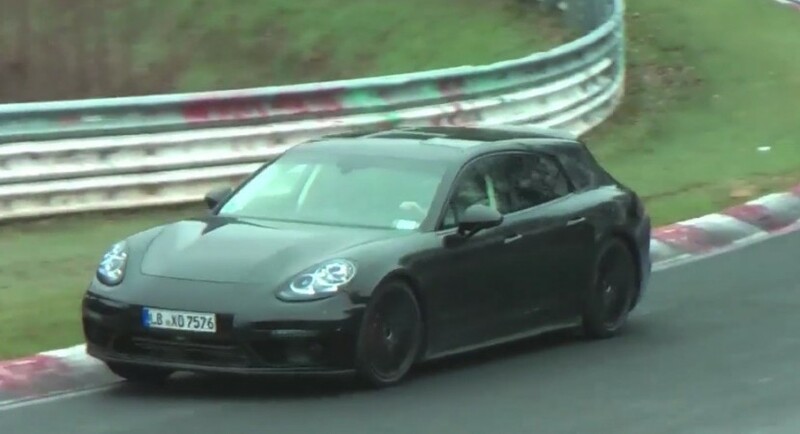 Porsche is developing a new Panamera version which might dubbed “Sport Turismo”, the model being recently caught on a spy video while undergoing some tests on the famous Ring. The 2017 Porsche Panamera Sport Turismo is actually the German carmaker`s first wagon version of the Panamera, which will be especially aimed for the European market. The 2017 Porsche Panamera Sport Turismo will be based on the Volkswagen Group`s MSB platform, the same one underpinning Porsche`s other new models, meaning that it would come with additional space inside and a wide choice of engines under the hood. More than that, thanks to the MSB platform, the Sport Turismo would be more lightweight thus more dynamic in terms of driving capabilities. In the engine department, the 2017 Porsche Panamera Sport Turismo wagon will feature six- and eight-cylinder turbocharged engines, both with petrol and diesel displacements, with an expected plug-in hybrid joining the club later on. At the moment, the performance and technical details are rather scarce, but we should expect full information on the model at the 2016 Paris Motor Show, in October, where it is expected for an official debut. Meanwhile, enjoy the spy video with the 2017 Porsche Panamera Sport Turismo on the Ring and don’t forget to share your opinions with us!